I wonder why we have such a love affair with fabric. Is it that in some subconscious way it reminds us of the intertwining of our lives. How we in some way are all interconnected; that the warp of our everyday lives is made whole by the greater weft connections of the bigger picture we live on planet earth, within the solar system and beyond the Milky Way Galaxy. How earth, water, fire, air and spirit bring us together as one beautiful tapestry. How caring and giving connects us within this greater fabric of being. 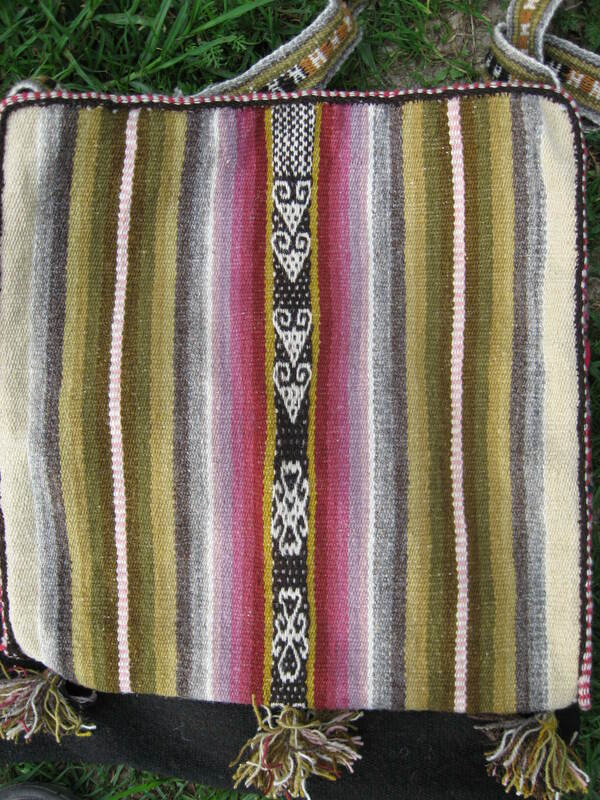 Weaving is ingrained in the lifestyle of the Bolivian women living in rural Independencia of the Bolivian Andes where Dorinda Dutcher is connecting them with their native community of dye plants; connecting weaver to weaver and weaver to the outside world of commerce and the fellowship of other weavers here in the US and beyond. PAZA (Project Atensania Zona Andina) translates to PEACE. 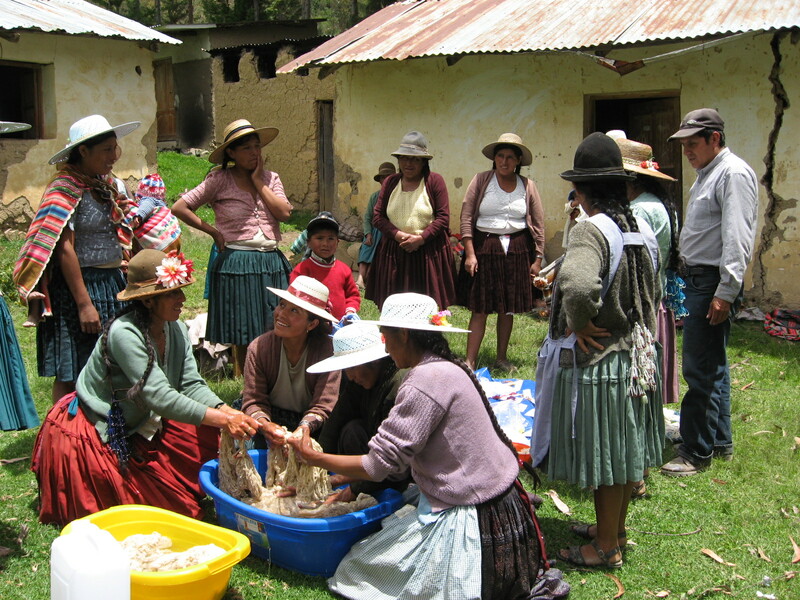 PAZA has developed a series of five natural dye workshops available to rural weavers. Two intensive “train the local trainer” courses per year continue the momentum so that this knowledge will pass from village to village and from generation to generation. The rural weavings are rustic, one-of-a-kind works of art. 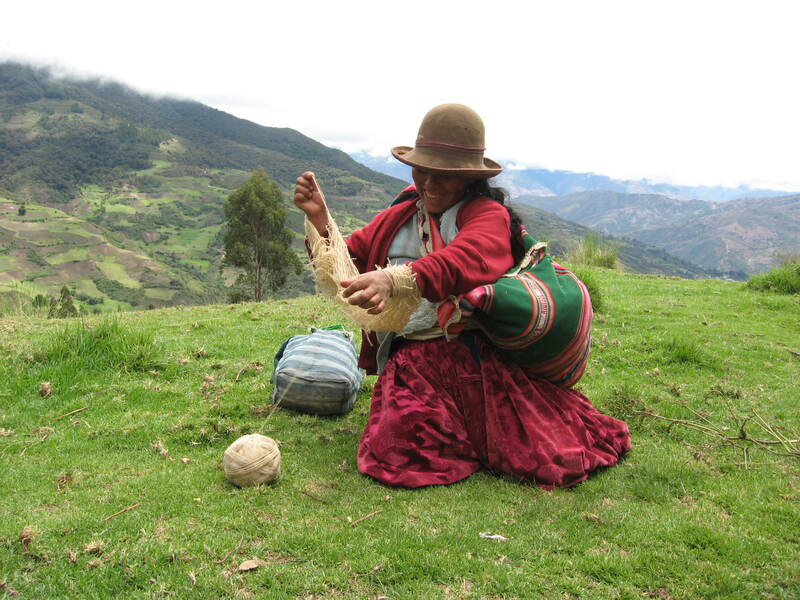 The practical everyday items have been used for centuries by the Quechua people. Each weaver crafts her weaving from sheep to finished product. 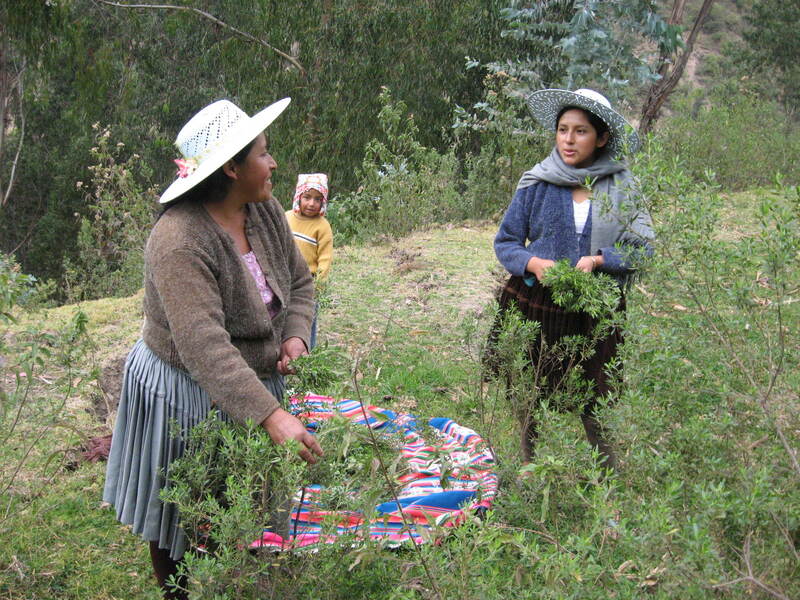 The biodiversity of the Andes provides a plethora of dye plants. 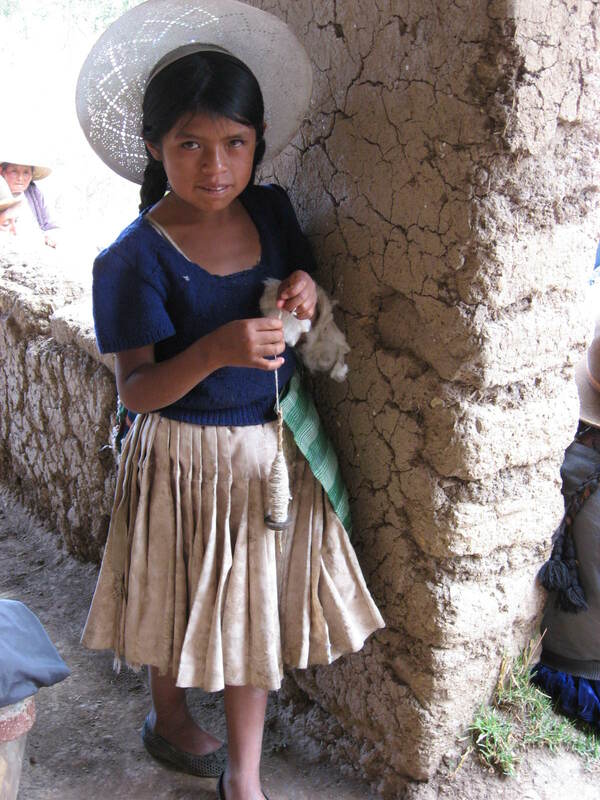 The traditional figures are woven on rustic looms. As a result of these dye workshops and the community they create these women’s weavings have become more beautiful and diverse in color and design. As more and more local dyeplants are added to their weavings, these fabrics (which are mainly made into lovely and quite practical bags) reflect the beauty of life high in the Bolivian Andes and the amazing women who create them. Do these women spinning, dyeing weaving on a daily basis ponder the same questions as we? Do they separate their weaving from the rest of their lives? I think not. They are their weavings, they are the fabric of their lives, they are the warp and the weft of the moment, intertwining of fire, air, earth, water, spirit within our Milky Way Galaxy. Always spinning even at an early age. 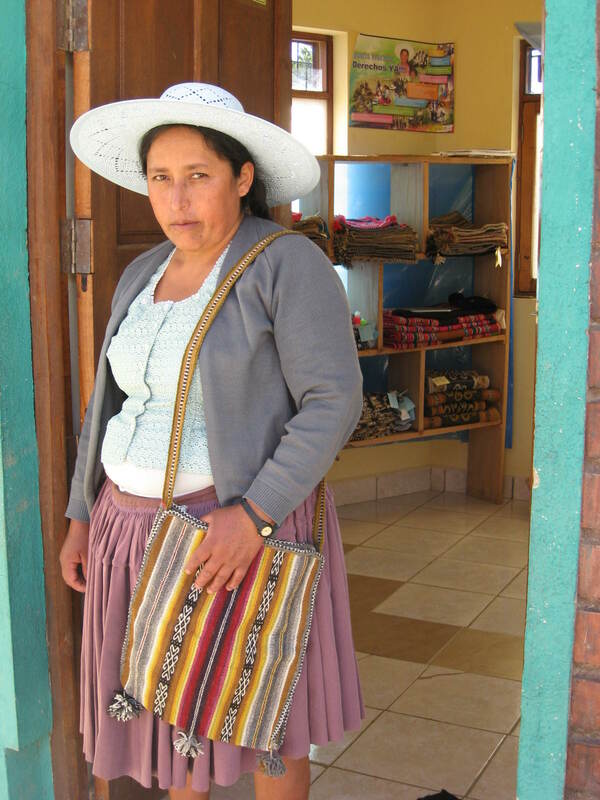 The sale of these bags helps support these women to continue living a life of rural subsistence. Contact Durinda Dutcher at dkdutcher@hotmail.com. Read the PAZA blog to stay informed. Dorinda has these beautiful bags for sale and can arrange delivery to you. Wholesale inquiries to shops are also welcome. Let’s give Dorinda a hand by the purchase of these bags and donations to her sparsely funded project. 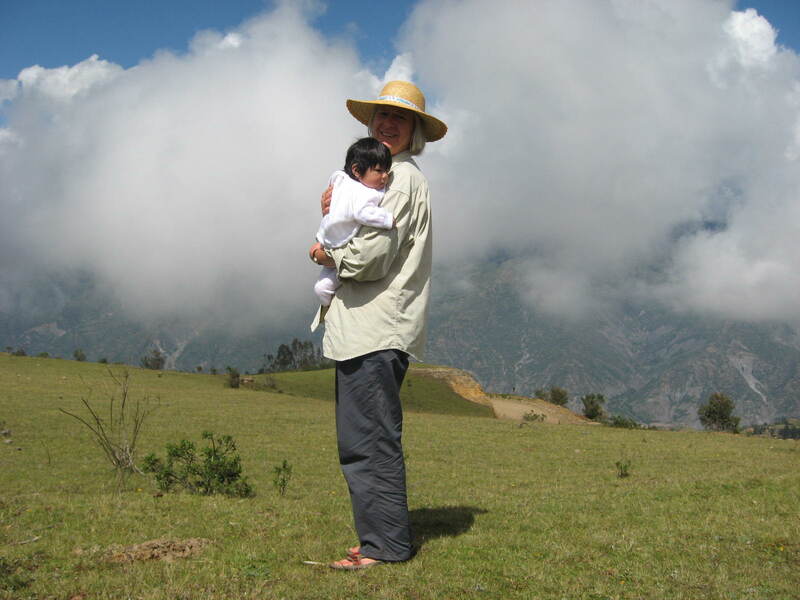 Through her work in Bolivia, Dorinda is keeping us all connected to the fabric of our lives. Dorinda Dutcher high in the Andes of Bolivia.